I officially survived my first German winter. As expected, the lack of sunshine was quite depressing but I did not let it hinder my spirits. Now that it is officially spring & ski season is coming to an end, it is time to switch the gortex in for a bikini. 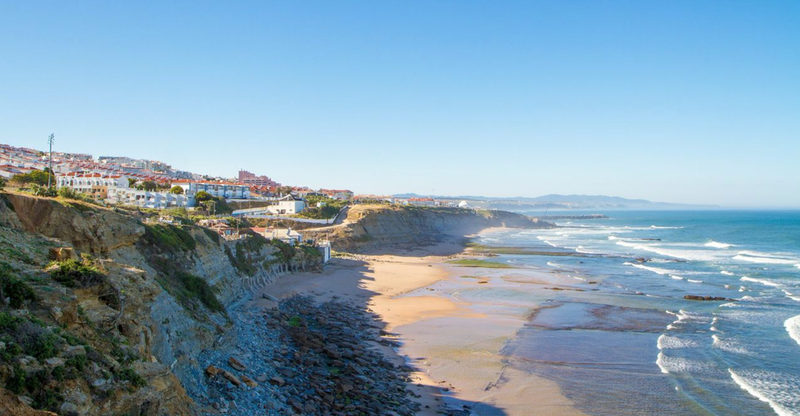 That's why I will be spending the next 7 days swell searching in Ericeira, Portugal with Lapoint Surf Camp. By the looks of the weather & this video I am in for one hell of a treat. The lovely folks over at lapoint sent over some photos of what to expect - I am looking forward to discovering the nooks & crannies of this quanit little town, along with getting fit and enjoying a good laugh. It's a scandinavian company, which means it has to be good, right? (they always know how to have a good time). In the mean time, I leave Dusseldorf for Berlin's Alternative Fashion Week in the morning thanks to a wonderful Air Berlin Social Media contest. Sunday morning I fly to Madrid for a quick Sangria at the airport ending the day with a flight to Lisbon. P.S. They have camps in Sri Lanka, Morrocco, Bali, Australia, Costa Rica, etc.